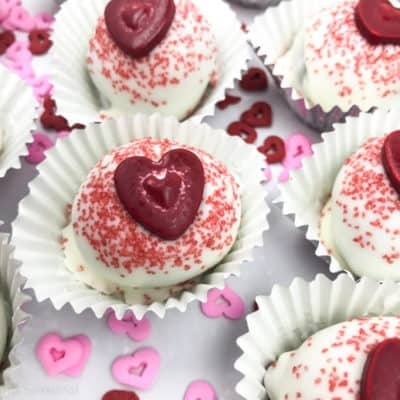 Celebrate Valentine’s Day with these simple and delicious Red Velvet Oreo Truffles. They’re the perfect party treat-no baking required! 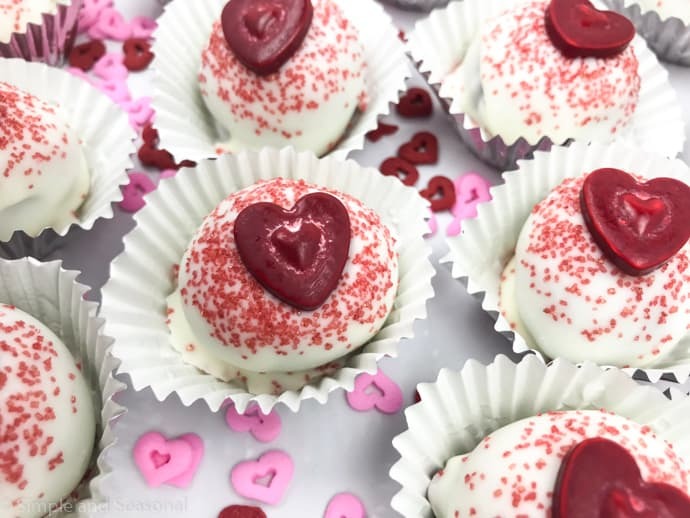 Whether you call these truffles, cake balls, cookie balls or something else, they are one of the easiest recipes to make! I think Patriotic Oreo Truffles were one of the first things I pinned to try after joining Pinterest years ago. You know anything made with Oreos is going to taste good. 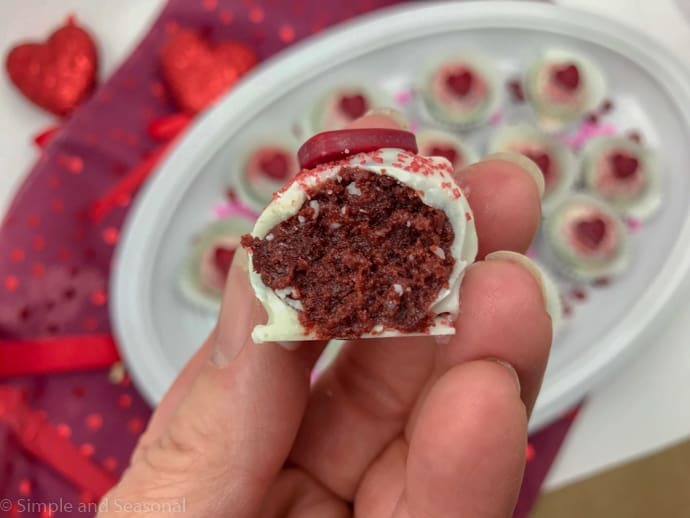 🙂 Red Velvet Oreo Truffles use a limited edition Oreo cookie so grab some now before they aren’t available in the stores anymore! For best results, make sure your cream cheese is room temperature and use a food processor to blend the cookies and cream cheese. Chilling will also make it much easier to dip the balls neatly. If they start to fall apart and get crumbs in the white chocolate, you won’t get a nice smooth finish on the truffles. Pop the tray back in the freezer as needed to keep them cold. Using the right tools will also make dipping a lot easier. I like these Wilton candy dipping tools because they make the job neater and keep you from wasting a bunch of chocolate. 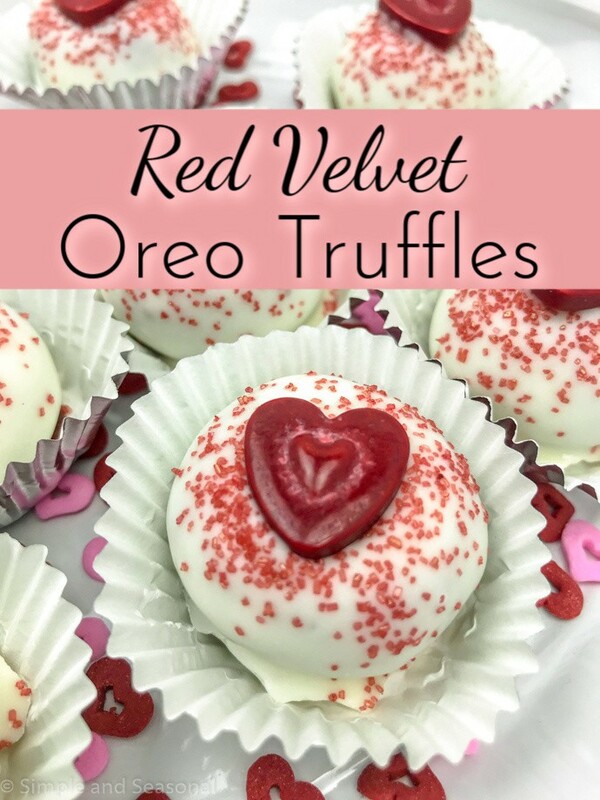 Celebrate Valentine's Day with these simple and delicious Red Velvet Oreo Truffles. Place cookies in a food processor. Pulse until the cookies become fine crumbs. Add the cream cheese and pulse until combined and a ball forms. Using a small cookie scoop, portion the cookie mixture into 1 inch balls. Roll into smooth balls in your hands. Place on a baking sheet covered with wax paper. When all balls are prepared, place in the freezer for 10 to 15 minutes. 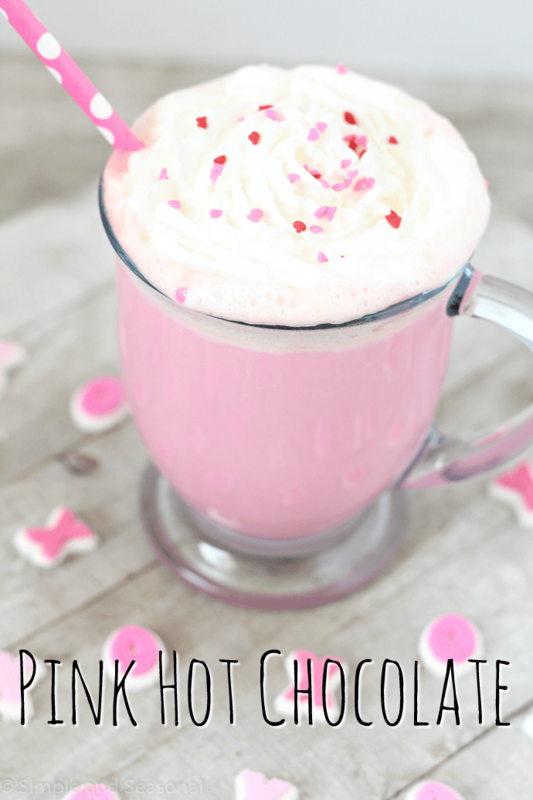 Melt white chocolate or vanilla almond bark in the microwave, stirring every 30-seconds until smooth. Do not overheat. If the mixture gets too hot and becomes stiff, add 1 teaspoon coconut oil or vegetable shortening and stir well. Dip balls in melted chocolate and place on waxed paper. Immediately add sugar sprinkles and jumbo heart before the chocolate hardens. Refrigerate or freeze until completely set, at least one hour.